Stream MMA, Boxing and Pro Wrestling - free and pay-per-view - on every device using just the FITE app. Download now! FREE download and FREE signup. Order on Pay Per View - Watch indefinitely. Payment will be charged to iTunes Account at confirmation of purchase. Subscription automatically renews for your selected subscription tier (HonorClub Monthly, HonorClub Annual or HonorClub VIP) unless auto-renew is turned off at least 24-hours before the end of the current period. Your subscription begins with purchase. 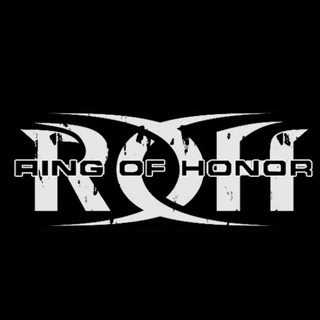 There's no free trial to access ROH Pay Per Views under the subscription terms before purchase. If you decide to upgrade or downgrade your subscription level, any unused portion of the current subscription will be forfeited. You may disable auto-renewals or cancel an active subscription anytime through your iTunes Account settings. Pro Wrestling Fans Dream ! I love Independent Pro Wrestling but it’s not always easy to find or watch on my TV. But, with this app, I have enormous collections of Indy Pro Wrestling from all over the US, and the iOS app along with AirPlay to my Apple TV works flawlessly. Along with volumes upon volumes of back cataloged tv series/matches, I get Live streaming on the new ones too. A real plus is setting a reminder that notifies me when a live program I want to see is airing, and then I quickly airstream to Apple TV, and begin Chatting on the app with others watching the live stream, discussing bad ref calls, good action, and even a hot manager occasionally. There is so much more than Pro Wrestling this app offers for me to explore, and eventually I will, but for fans of Pro Wrestling this is a must have app!! This is an awesome app. I use it to watch episodes of RoH wrestling as well as some other Indy wrestling organizations. The amount of episodes and shows is tremendous. In addition to wrestling, there are lots of MMA, UFC, and RoH PPVs available to watch or even stream live. My only issue with this app is the screen mirroring feature-it doesn’t work...at least the iOS version doesn’t. My iPhone and my smart tv are connected to the same network and the app can never seem to connect to my tv. The same issue applies when trying to cast from my iPad. If this gets fixed, this will be an even better streaming app than the WWE Network. Got this app to watch the GGG-Camelot fight and it was not a good experience. First of all, it was not direct streaming as advertised, but it was delayed by at least 30 minutes. Many times during the fight, the server was overloaded and I got the ‘circle of death’ lasting for minutes at a time. When I complained about it to the Customer Support, the answer was that the delay serves to give us a better transmission and that anyway the customer should be happy because he can rewatch the fight as many times as he wants. That is not why I paid 99 dollars to watch the fight in real time. Secondly, when I tried to rewatch the fight the following day, I could not access it any longer. Do not purchase big fights through FITE, or you will regret it.